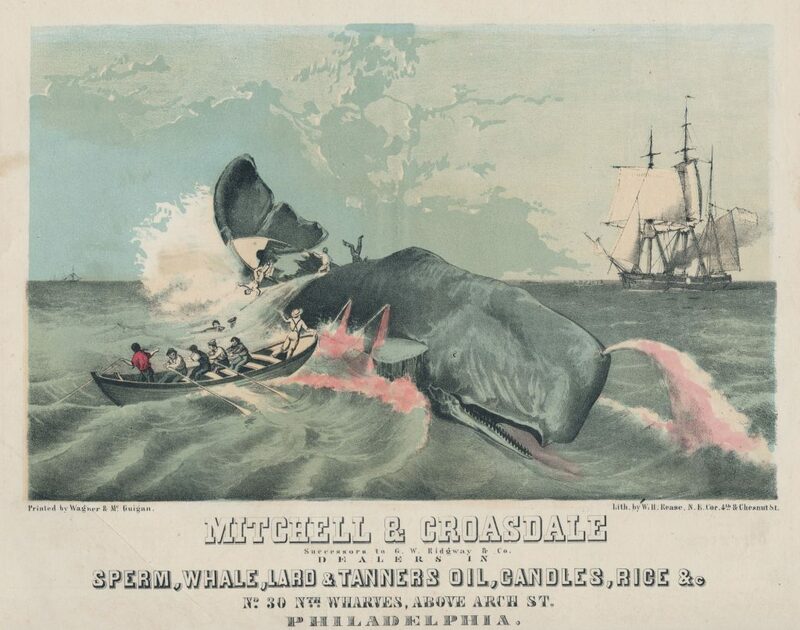 Anonyme, « Mitchell & Croasdale, successors to G.W. Ridgway & Co., dealers in sperm, whale, lard, & tanners oil, candles, rice, &c. No. 30 n[or]th wharves, above Arch St. Philadelphia », 1856, Library Company of Philadelphia, Flickr The Commons.